Tofo is undoubtedly a (or the!) Mozambican highlight. The beach, the whale sharks, the bars, the diving...there is so much to do. Check out the Accommodation options and unwind on this famous beach. Centrally located in Tofo Beach, built up on sand dunes and directly located at the beach with a stunning view of the ocean, Fatima's Backpackers is a Tofo institution. Walking distance to the village centre, markets, shops, restaurants and bars. We offer diving, snorkelling and horseback riding. Accommodation: Ensuite casitas, bungalows, dormitory, and Camping. Hot Showers, and self-catering kitchen. Full licence restaurant and bar open from 06:00 til late. Internet & Laundry services. Tours & Activities, off-road parking, 24 hour security. Shuttle service to Maputo. Tofo Mar has long been a reference destination for on one of the Indian Ocean's most beautiful beaches. 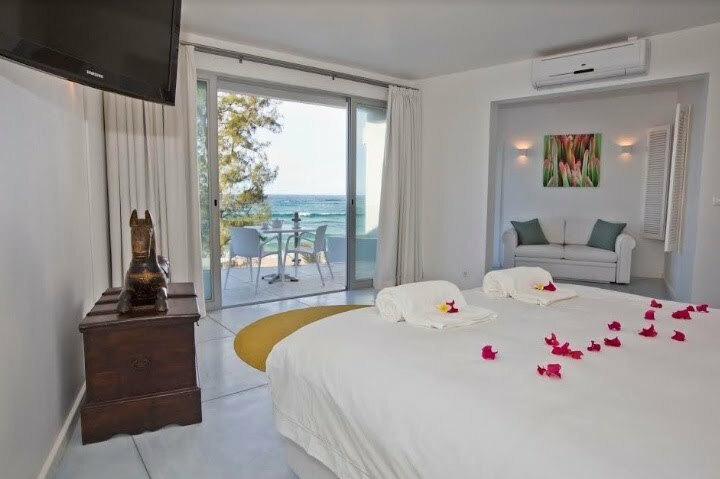 The boutique beachfront hotel has recently been renovated into its present modern form with its iconic balcony at the centre of this vast beach. 3 deluxe bedrooms and 2 suites, all superiorly equipped, with rates ranging from $80 - $250. The hotel also offers a popular restaurant, bar, Massage terrace, and a Conference Hall with indepedent access, technical facilities, and capacity for up to 80 persons. Hotel Tofo Mar's Activity Centre is the launching spot for Tofo's amazing experiences like swimming with whale sharks and giant mantas, Deep Sea Fishing, Massages, Fat Bikes and Pansy Island Trips. Tofo Beach Accommodation offers the best views to the ocean from their lovely verandas. Casa Derika is on Tofo Beach, and accommodates 6 guests. Casa Isabel, (sleeps 7 guests), and Casa Christine (sleeps 8 guests) are in Tofinho, the surfer's paradise. These 3 houses are fully equipped for self-catering with bedding, mosquito nets, cutlery, crockery, fridge and separate freezer with electric and/or gas stove/plate and a safe for your valuables. The houses are serviced daily by our awesome staff. All three houses are only 50-80m away from the sea. No need for 4x4, the cottages are reachable with a standard car. Rates from R700/night for the house! One of Tofo's hidden gems despite being the at the centre of all the action. Rooms at Nordin's Lodge open out to Tofo's famous beaches and we are situated right between all of the beach's famous restaurants and bars. Our eight private rooms, and four casitas are located in the shade of palms and casuarinas right on Tofo beach. Nordin's Lodge provides a unique Tofo experience as our spacious area on the beach is in the middle of the action, but still secluded enough not to be disturbed by the party-goers. What most of our clients find most impressive is our unbeatable rates - our double rooms are just 2000mtn during low season, and 2500mtn during high season. Make sure you book ahead to avoid disappointment. 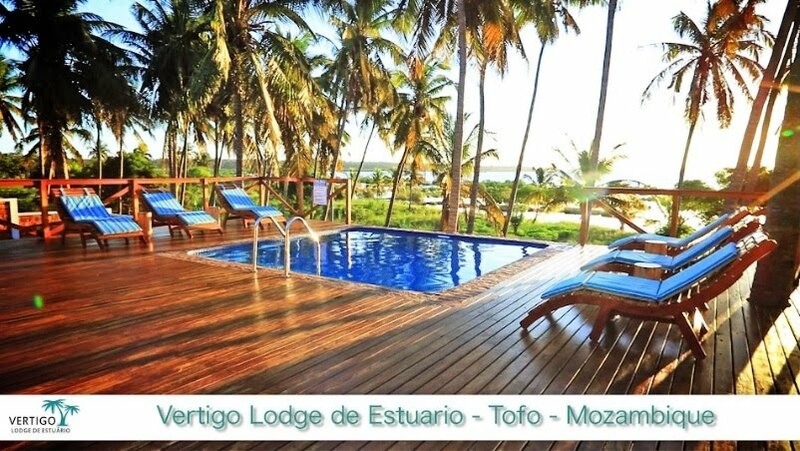 Seclusion, privacy and tranquility Vertigo Lodge de Estuário (Lodge on te Estuary) is perfect for you! We're an exclusive safari tented camp, consisting of 5 luxury tents, 2 persons per tent, overlooking the estuary/lagoon with stunning sunsets. The distance to the beach is +-5 minutes by car and we're 15min from Inhambane International Airport (Transfer can be arranged). Breakfast is included & we have a meal-of-the-day for dinner. Alternatively, there are many restaurants in the area that we can arrange transport to. Return to camp and relax & sleep peacefully in our beautiful luxury air-conditioned tents. Scuba diving & deep sea fishing can be arranged on request. Come & enjoy our little slice of paradise; we'd love to have you! 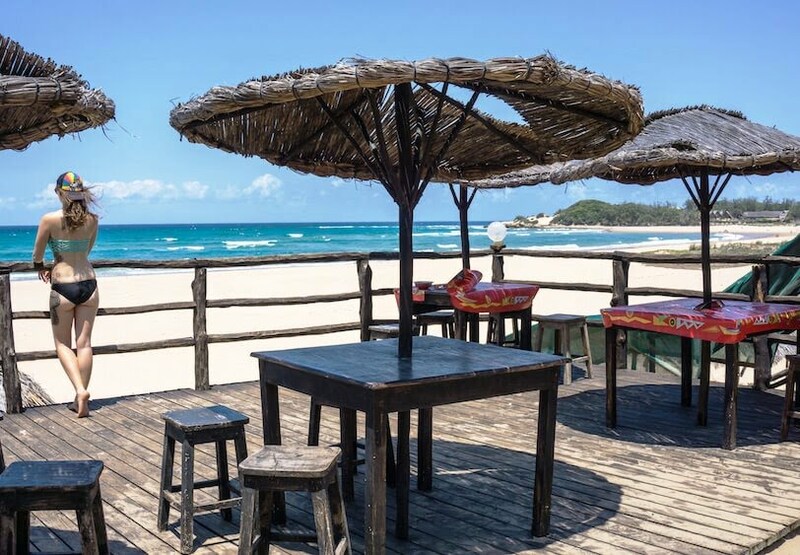 From what is mostly recognised as Mozambique's coolest, or most fun beach do not miss Mozambeat Motel, similarly recognised for its atmosphere, and after hours fun. Despite only being a few years open the lodge has quickly won the reputation of one of the most laidback and fun places in Tofo. There's no point reserving accommodation in other places in Tofo if at the end of the day you are going to end up most nights in Mozambeat Motel, enjoying our food, our bar, our music, and of course that unforgettable atmosphere that makes us the spot in Tofo. Luxury guesthouse that towers over Tofo Beach, a good choice if you've had enough of "rustic"
With Tofo's most spectacularly located restaurant Mango Beach Lodge is about 500m north of town, far enough from the chaos, but close enough at the same time.